ABC, NBC and CBS all broke in to their regular programming of talk shows and soap operas to carry special reports Friday afternoon as Press Secretary Sean Spicer took to the podium following a presidential tweet storm this morning that included a perceived threat to former FBI Director James Comey, the possibility that the president may be recording his White House meetings, and the very future of the daily press briefings. The issue of whether Trump is using recording devices was the first question, from Reuters’ Jeff Mason. 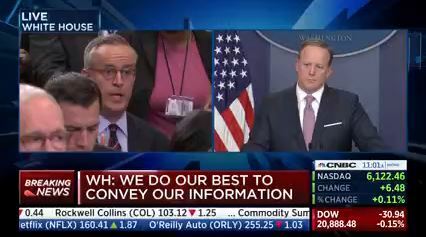 But even as Mason and other reporters pressed, Spicer wouldn’t confirm or deny the president uses a recording system in the White House. “As I’ve said, for the third time, I have nothing further to add on that,” said Spicer. 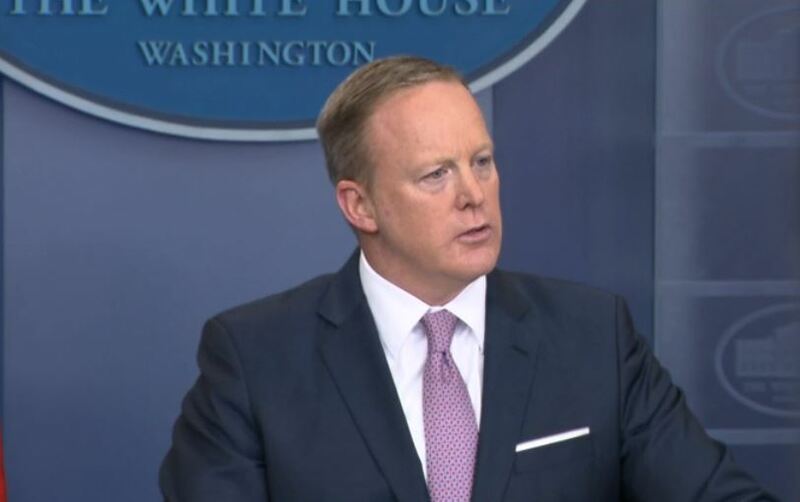 Spicer: I think he’s a little dismayed, as well as a lot of people, that we come out here and try to do everything we can to provide you and the American people with what he’s doing on their behalf, what he’s doing to keep the nation safe, what he’s doing to grow jobs, and yet, we see time and time again, an attempt to parse every little word and make it more of a game of gotcha as opposed to really figure out what the policies are. “That’s frankly offensive,” said Spicer.